Garden 2015-Get Ready | Food It Yourself! Central New England seems to have skipped spring and jumped right into summer. Every single tree is spewing out pollen, my lawn is growing a mile a minute, and it’s time to get the 2015 Food It Yourself garden up and growing. Mr. Food It Yourself and I have been prepping and planning for a few weeks now. Here’s what we’ve got done so far in anticipation of The Planting. Taking stock of what we have. 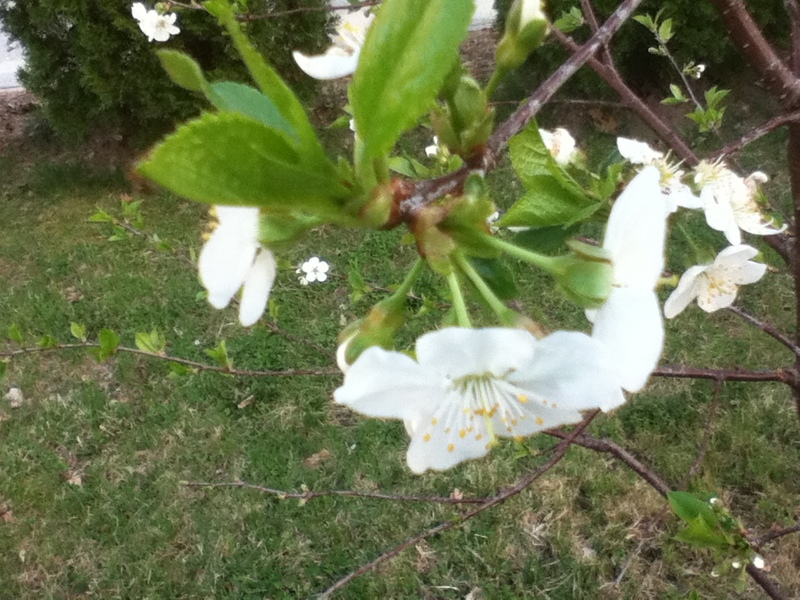 Our cherry trees are doing pretty well, despite the fact that I could not prune them this winter. They were two-thirds covered in snow. There was no major damage and, as you can see, they are blooming like crazy. This flower may become part of a pie in a few months. 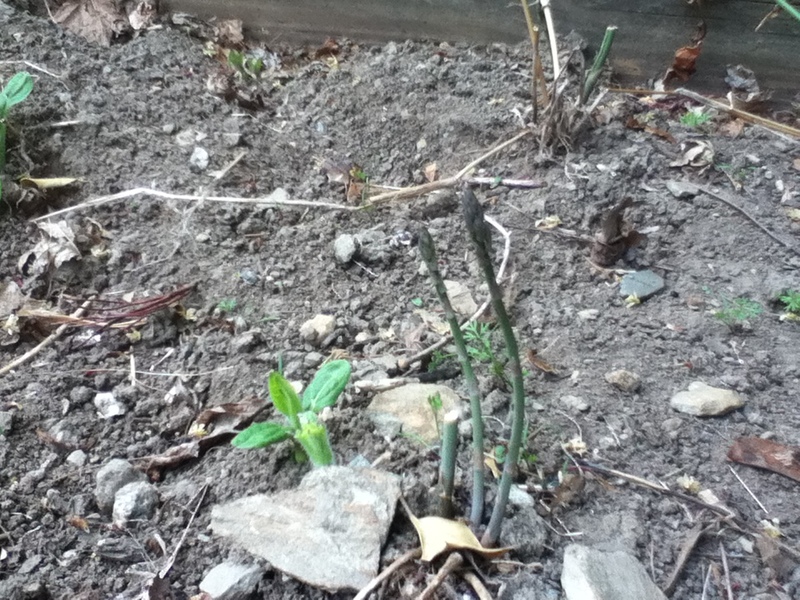 The asparagus, bee balm, sun chokes, thyme, and lavender also made it through the rotten winter. Tomorrow, these asparagus spears will be twice as tall. My mom gave us some divisions of her surviving oregano, sage, strawberries, and chives. Leftover from last season, we have a big pile of compost and plenty of liquid fertilizer stuff for our irrigation system. It appears our tomatoes did not reseed themselves. We have become very fond of home canned tomato products. We need tomato plants. Where I grow tomatoes I grow basil, so we need basil plants. In other words, I have been digging. Mostly, I dug up the biggest and stringiest weeds in the main garden. This has two purposes. Not only does it reduce the chances of weeds jamming up my rototiller it also encourages local birds to fly in and eat any uncovered grubs. 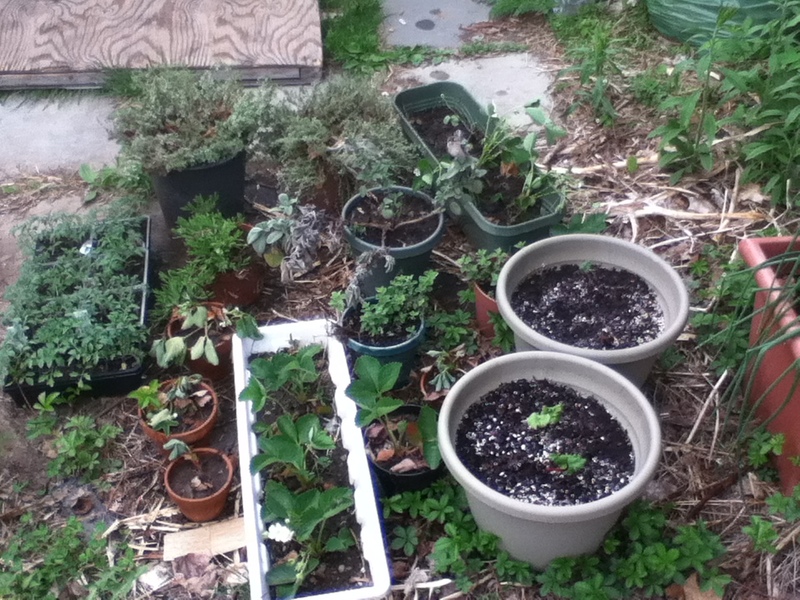 I also dug up my neglected strawberries and my surviving herbs. Here are all my waiting plants. The big pots on the right have baby rhubarbs in them. I forgot to mention we’re growing rhubarb. Gardens are sprouting all over the Northern Hemisphere right now. What are you growing? Share in the comments! I’ll have more pics soon of this year’s Food It Yourself plot soon. 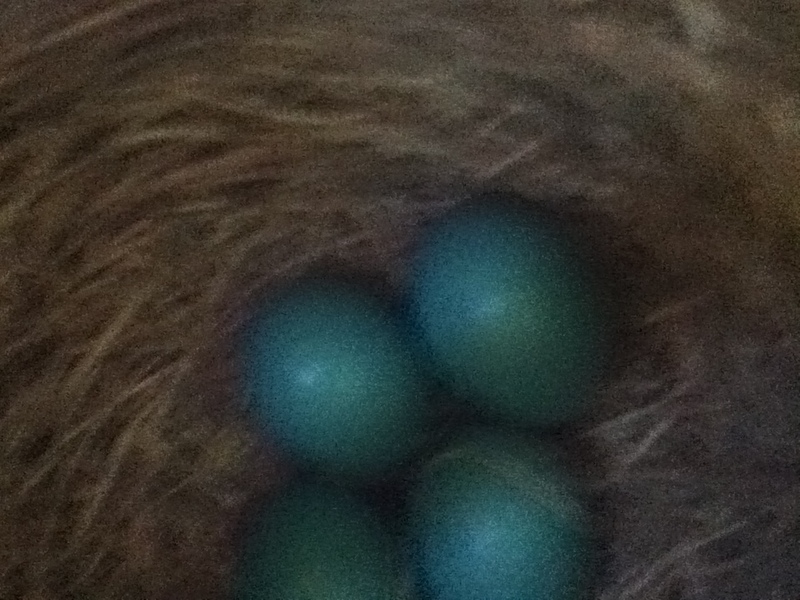 There is a robin nesting under my deck. Also, there are sparrows in the garage rafters and a chipmunk under the shed. He does not get along with the robin. Lots of radishes and kale right now! More going in soon though….I also have been focussed on digging and prepping and dreaming of cherries! The preparation is the most important part!